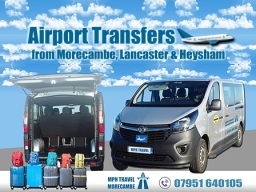 Airport Transfer from Morecambe Lancaster Heysham Carnforth | 24/7 Taxi service to all UK Airports. We are a small, independent operator with highly qualified and professional drivers. MPH Travel provides the best customer service and overall experience for travelers. Passengers are guaranteed a safe and enjoyable ride in our well-maintained and clean vehicle. 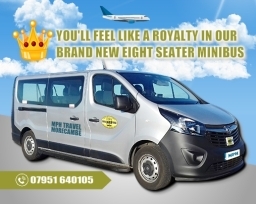 Our minibus conveniently seats up to eight adults with plenty of extra room for luggage or equipment. Not only does MPH Travel offer the best in terms of our minibus and staff, we do so at a reasonable and affordable cost. 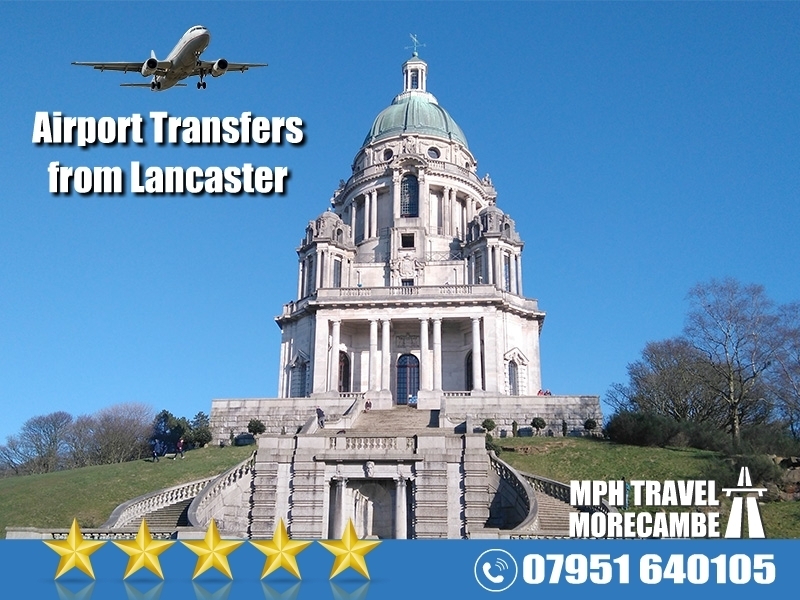 Additionally, we have a large service area, picking up passengers in Lancaster, Morecambe, Heysham, Carnforth and Lancaster University, and traveling anywhere on the mainland UK and to all major UK airports. 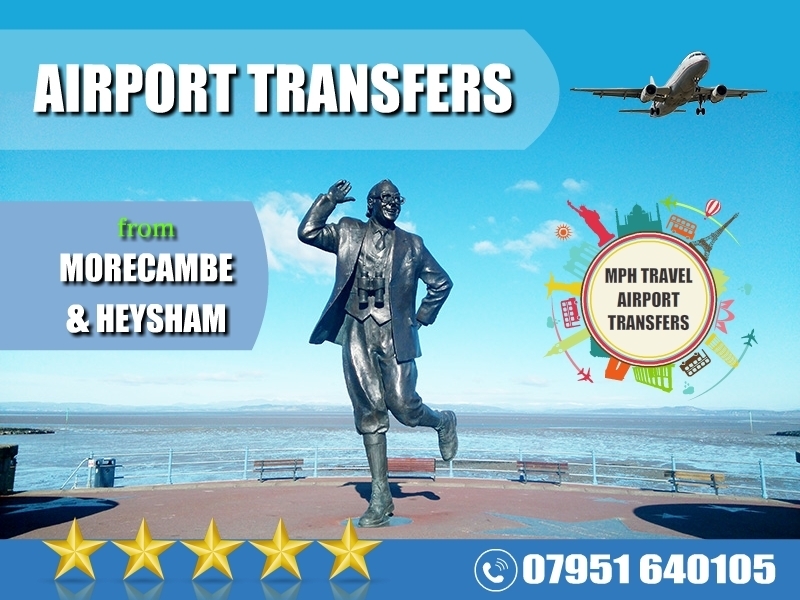 Testimonials are curated by MPH Travel Morecambe and are not independently reviewed or verified. 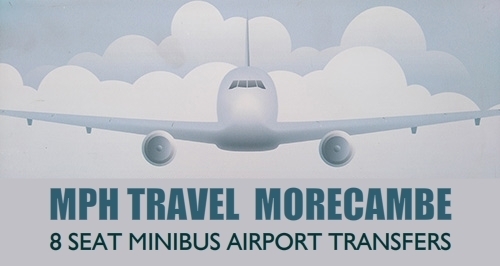 "Excellent airport transfer service! Friendliest driver ever!" "I recently hired MPH Travel for our family holiday. There were seven of us and still plenty of room for our luggage. We were picked up on time and the driver brought the child and booster seats that we requested when I booked. The minibus was clean and tidy. On the return journey I was a little worried as our flight had been delayed by several hours. MPH Travel had it all sorted and the driver was waiting In the pre arranged place when we arrived. A great end to an excellent holiday. Wouldn't hesitate to recommend MPH Travel to others. 5 star Airport Service!!!" "Great customer experience! 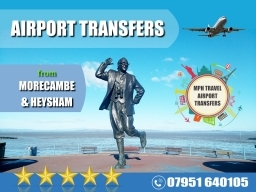 I would thoroughly recommend MPH Travel Morecambe." 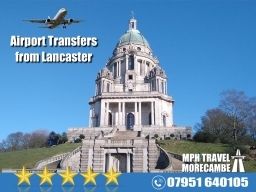 "We booked MPH Travel to take us to Liverpool airport for our long weekend away. I had requested an early morning call to make sure we were up and ready!!! Mark called on time and came and collected us at 5. 30 am sharp. The cab was clean and tidy and we had a good journey there. After a great break, Mark was there to greet us at the prearranged meeting point and take us back to Heysham. I would thoroughly recommend MPH Travel and will definitely be using again for the next trip away." "Nothing bad to say but love it!" 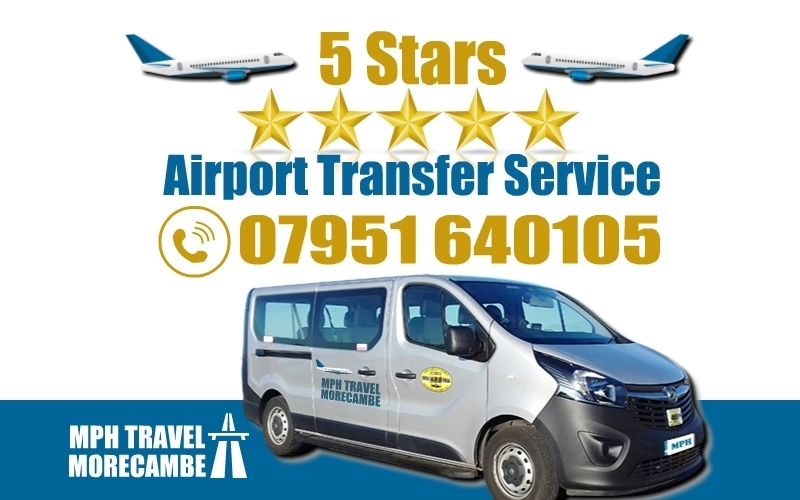 "Fast response to emails and calls, easy to book, very reasonable rates, a very friendly driver, provided us with child seats, arrived on time for each pick up, nothing bad to say but love it! I'll certainly be booking again. Thank you!" 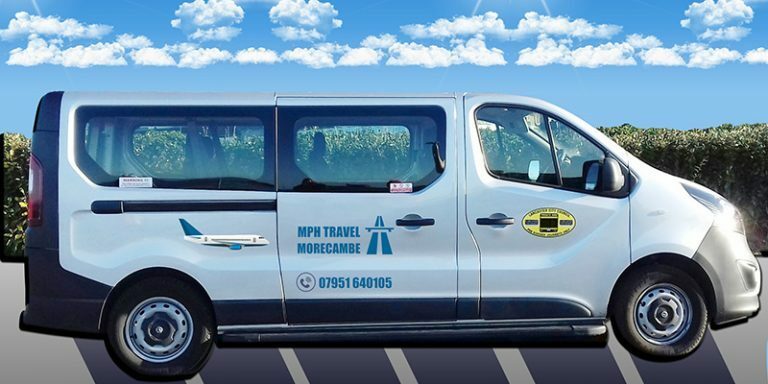 "MPH Travel is hands down the best!" 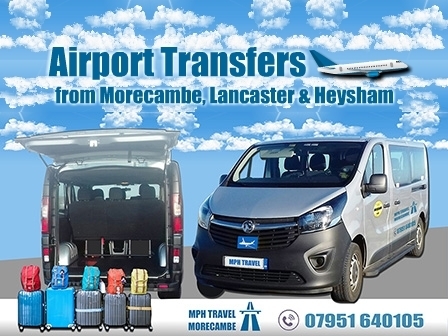 "I've tried 3 different airport taxi service companies in Morecambe and Lancaster and MPH Travel is hands down the best! Very prompt with replies to my emails and calls, the driver was flexible picking us up with a smile even when our plane arrived 35 minutes early. Very clean & comfortable vehicle with a lot of luggage space, lovely drivers and very reasonably priced. MPH is now my number-1 choice. Thanks Mark at MPH! I'll be booking with you again for our next trip soon." "Excellent service! Clean & Comfy vehicle. Lovely driver." "Second time we've used MPH Travel. Arrived ahead of time, Mark is a very good driver: smart, professional, smooth journey, no rush. the vehicle was brand new, very clean & comfortable. 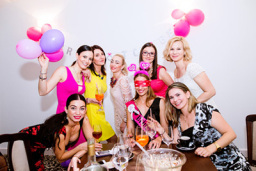 I Have no hesitation in recommending them, we will continue to use!" "Comfortable trip to the airport and there to meet us when we got back. Great service - thank you."